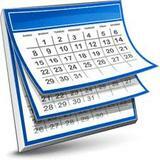 St. Did you know our school is still a busy place? As many of you know, regular classes ceased at St. Alphonsus School several years ago when a decision was made to consolidate into one building with Holy Family and Sacred Heart. Several people I have talked to have assumed that there is little going on over at school nowadays. Nothing could be further from the truth! 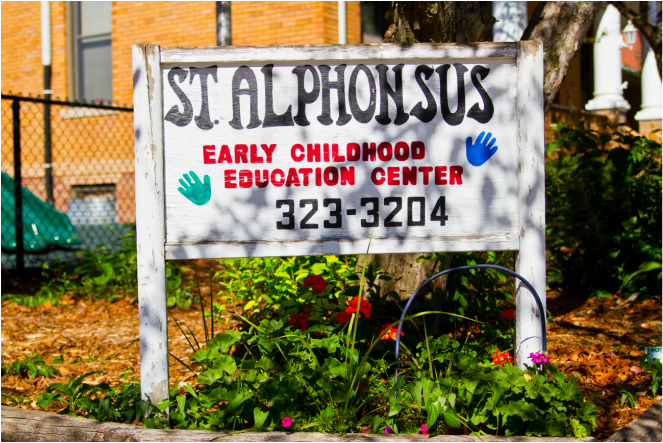 The St. Alphonsus Early Childhood Center provides daycare and preschool for many children. We have specialized rooms for infants, toddlers, two and three-year olds, preschool, and school age! If you take a visit to the school on any day, even in the summer, you will hear the pitter-patter of little feet and see kids at tables, learning and working on activities. We offer meals, transportation, and other enrichment opportunities. Shelly has been working hard to get the message out about the center. Our custodian, Tammy, works hard to keep the building looking nice, and I have been planning for ways to introduce the families over there to our parish and the many things we can offer as a faith community beyond the services our school provides. Please pray for the continued success of our school!